We just wanted to let you know how happy we are with our seamless siding and the new windows. Our house looked nice before bur now It is really outstanding. Even strangers have pulled into the driveway to compliment us on the remodeling and ask about the seamless siding. Several neighbors have put the vinyl on and it looks OK, but it’s simply no comparison to the “seamless.” The “before” and “after” pictures tell the whole story! Even the real estate appraiser called to tell us how nice our home looked and how impressed he was with your product. Not only does it look extremely nice but the value of our home has also increased by more than we put into the work. In 1992 we refinanced and has out house appraised at $74.000 Now, in 1997, the appraisal was $95,000; an increase of over $20,000 (which is more than the cost of the remodeling). That makes it even better! I have no doubt we could get practically 1000% return if we sold our house in 1 year or 10 years from now. The follow up after the installation of the windows and siding has also been great. We are satisfied customers and would not hesitate to recommend the seamless siding and windows (especially the ones with the v-grove cut!) to anyone considering updating their current home or building a new one. It was definitely worth the price- you really do get what you pay for! Had we gone with another product, I’m sure we would have been playing the “what is” or “ if only” game now. Steve, Pam, & Mackenzie P.
"Thank you, Thank you! I am so pleased with the job your company, ABC Seamless Siding did for me in February 2003. My vinyl siding of four years was melting and warping from the hot summer sun. The sun was reflecting off my porch onto the siding, and it looked real bad. I contacted your office and within a week your salesman Tom was here. He was very helpful in my decisions to replace the damaged areas with the steel siding. the color match was excellent, looks terrific, and without the "Quacks". If or when the rest of the vinyl deteriorates, I will replace with the steel siding. I wish to thank your friendly office staff, your salesperson, and a special thanks to the two young men for the excellent installation and clean up." 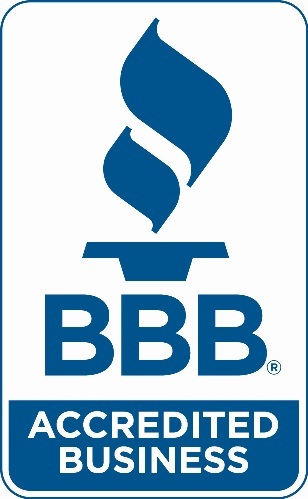 Bonnie S.
In business since 1991, ABC Seamless is your local expert in metal roofing, siding, and windows. We are family-owned and operated company that cares about our customers. We operate on time and in budget, making things as easy as possible for you. Additionally, because we've been under the same ownership for the entire time we've been in business, we've had to opportunity to learn and grow with continuity. We offer superior products that come with extensive warranties that we are more than able to fulfill. As an added benefit, all of our products are recyclable, so we don't create waste. Our goal goes beyond customer satisfaction – we seek to amaze! A native to Emmett, ID, Steve has owned a roofing company since the young age of 16 where he built houses with his dad, who also worked as a sider. He has been certified as Lead Safe with the EPA. His typical day to day activities include working with the sales departments, training installers, and running commercial sales. When asked what he likes best about his job Steve replied, “Everything!". He loves the great people he gets to work with and loves helping everyone grow into a better team. 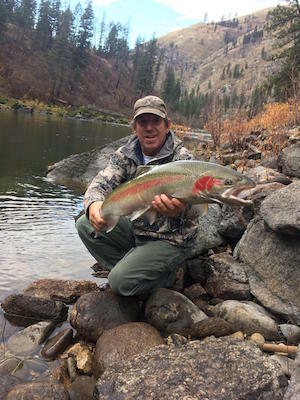 In his spare time, Steve enjoys flying airplanes, fishing, and spending time with his grandkids. Here at ABC Seamless, we believe in the importance of helping our community. Every year we donate projects to local churches. We also recently installed siding for a local woman at no cost. ABC Seamless looks forward to these opportunities to give back! ABC Seamless is proud to be a member of several professional organizations that help us do our job. 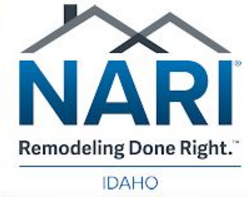 We are a part of two local Chambers of Commerce as well as NARI. We are also an EPA Lead Safe Certified company, and we have an exclusive deal with EDCO Arrowhead products. Without the support of these organizations, we would not be able to provide the high level of service that we uphold!